Hide deals from seller "Cosmetology Training Center"
Limit 1 per person and 1 per household. Valid on 2 haircuts for children aged 4-12. 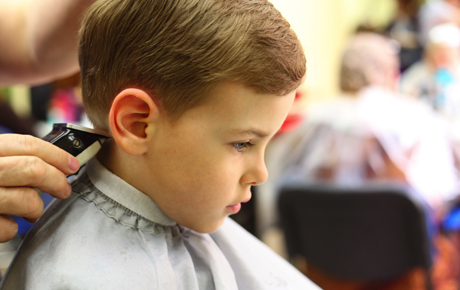 Haircuts can be used for 2 children in same visit or same child on 2 separate visits. Hair longer than shoulder length may incur additional charge. New customers only. Preparing for a new school year means new school supplies, stylish new outfits and a smart new 'do. Make sure your little ones are ready with 50% off children's haircuts at Cosmetology Training Center in Stone Park ($14 value). This private cosmetology school helps students acquire the necessary skills to earn their cosmetology licenses. The friendly, nurturing atmosphere helps empower students and inspires them to reach their potential. The salon offers a variety of services including haircuts, facials, hair removal and manicures. At Cosmetology Training Center, students and staff will treat you and your kids to superb service. Gear up for the new school year with this convenient deal. Private cosmetology school in Stone Park that offers a variety of services to the public.